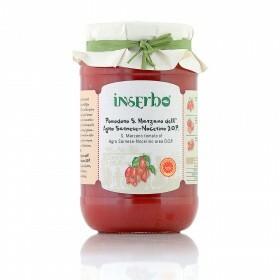 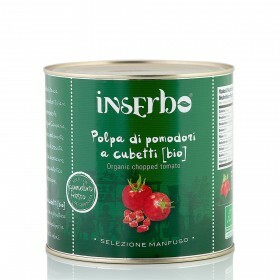 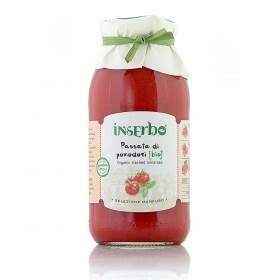 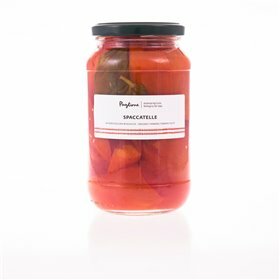 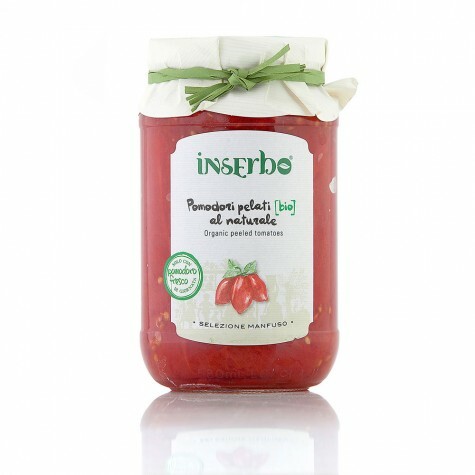 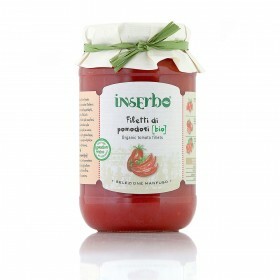 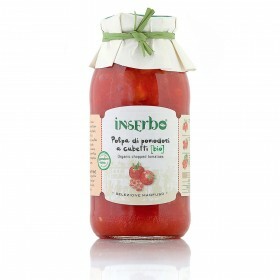 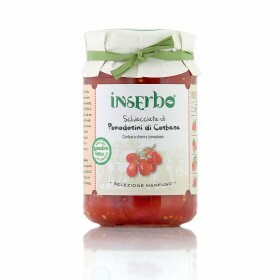 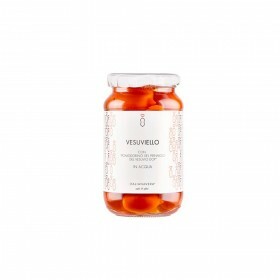 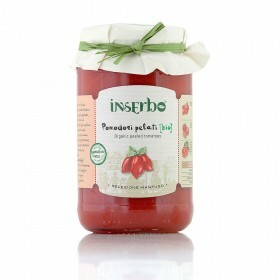 Produced using long-fruited tomatoes of the variety, exclusively from Italian agricultural crops. 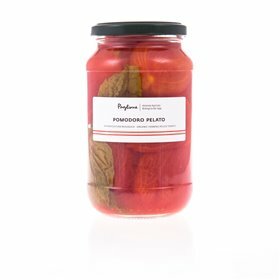 Matured in the sun and harvested at the right point of ripeness, peeled in the natural way, they offer their own pulp to simple and genuine dishes. 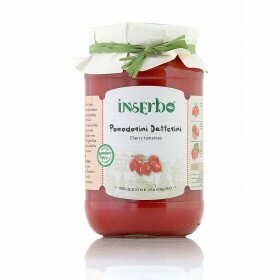 The natural processing process ensures that the product is peeled and invaded without adding juice or water. 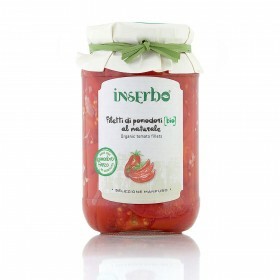 The liquid present in the jar is the water that escapes from the tomato during final pasteurisation. The processing of products from organic farming is carried out in total absence of synthetic chemicals and in full respect of the environment. 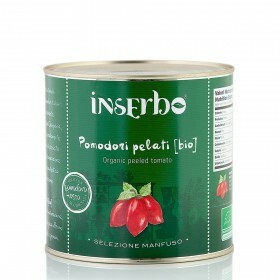 All the tomato harvested is processed during the day.